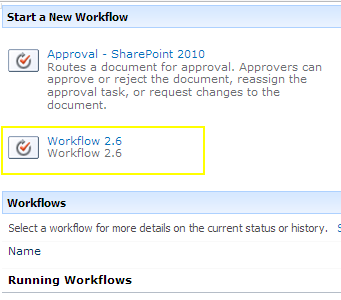 Now go to SharePoint site to the list for which you have created the workflow. 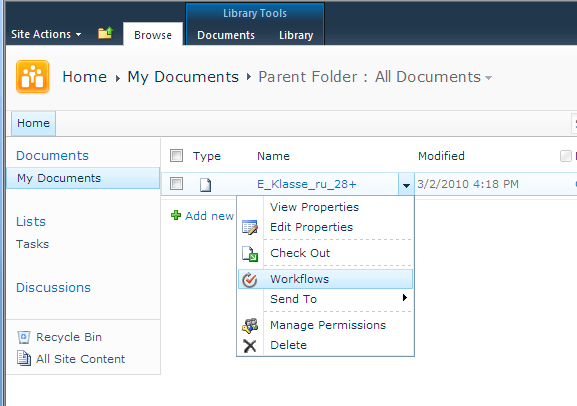 Click the required element and select “Workflows” in the drop down. Select the required workflow from the list. Then click “Start” to run the selected workflow. Now see the result of workflow activity.